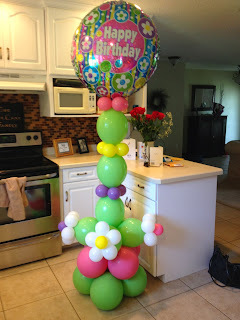 Jumbo Birthday balloon on linking column with flower accents! Let your Birthday Guest of Honor feel special on their birthday with a Jumbo special column! These columns can be made for any type of celebration with custom foil toppers. Call 863-255-2025 or visit our website to fill out a contact form http://partypeoplecelebrationco.com to have Party People Celebration Company create custom décor for your celebration. 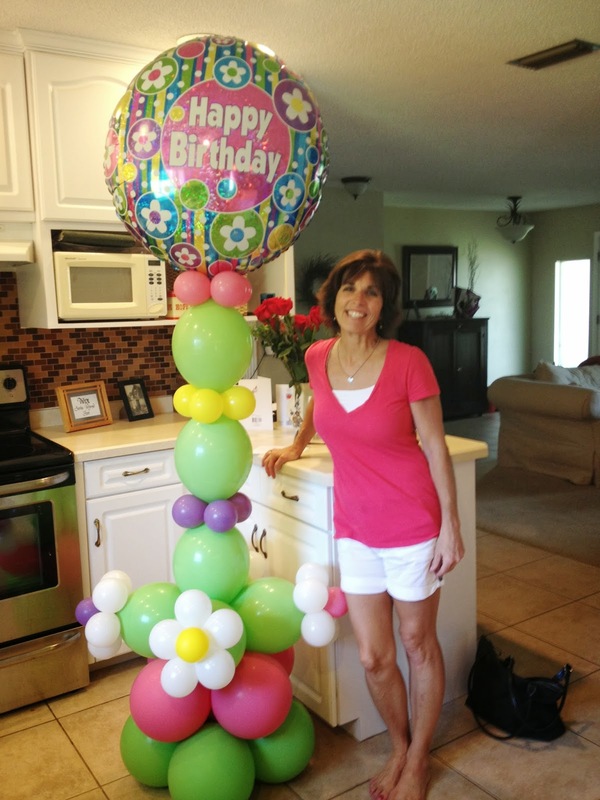 Based in Lakeland Florida Party People Celebration company will deliver throughout Central Florida to create Décor.